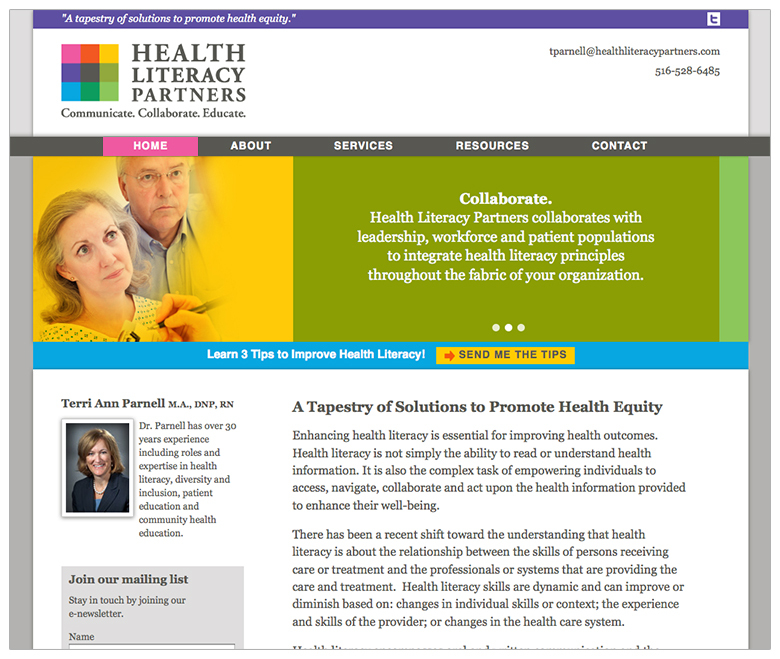 After naming the firm, Visible Logic created a logo and letterhead materials for Health Literacy Partners. The simple website matched the bright inviting look of the logo. 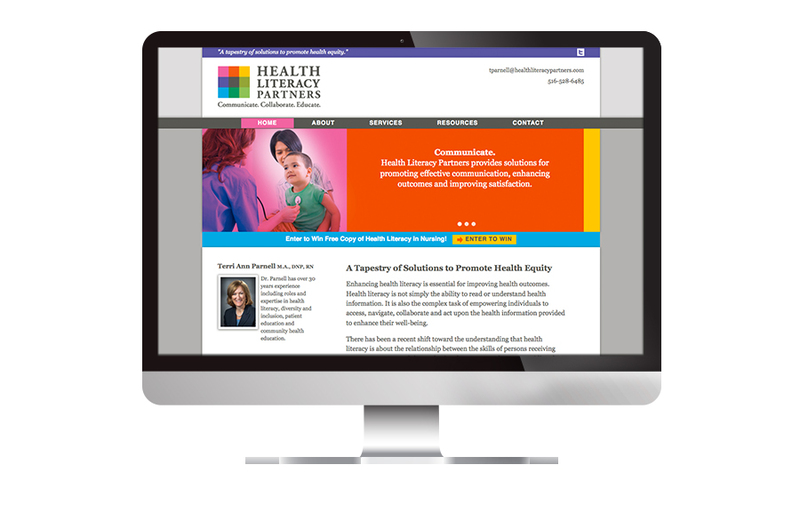 The content needed to synthesize the complex specialty of health literacy into an easily-understandable service. The site features a slider on the home page with editable text so that it can be found by search engines and navigation that uses the bold colors of the logo. 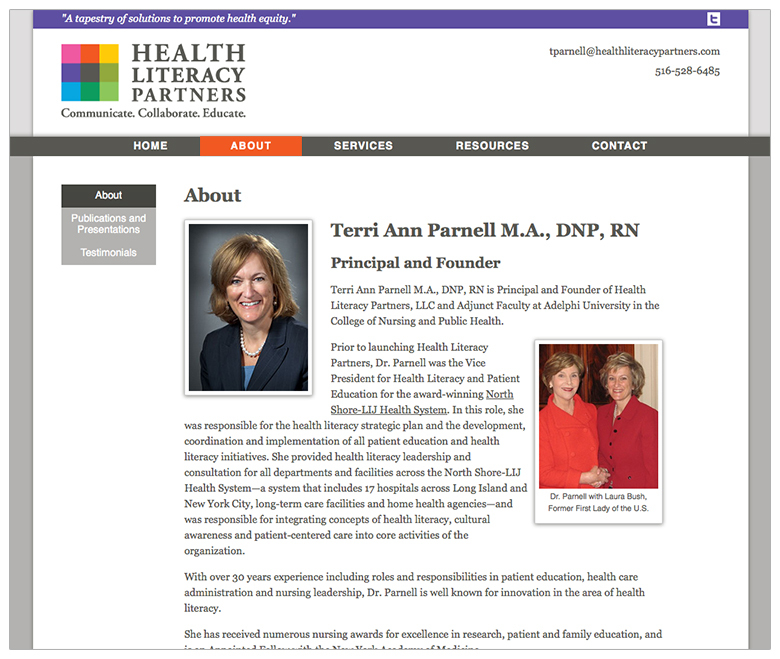 The website is built in WordPress with a theme custom designed by Visible Logic for this project. 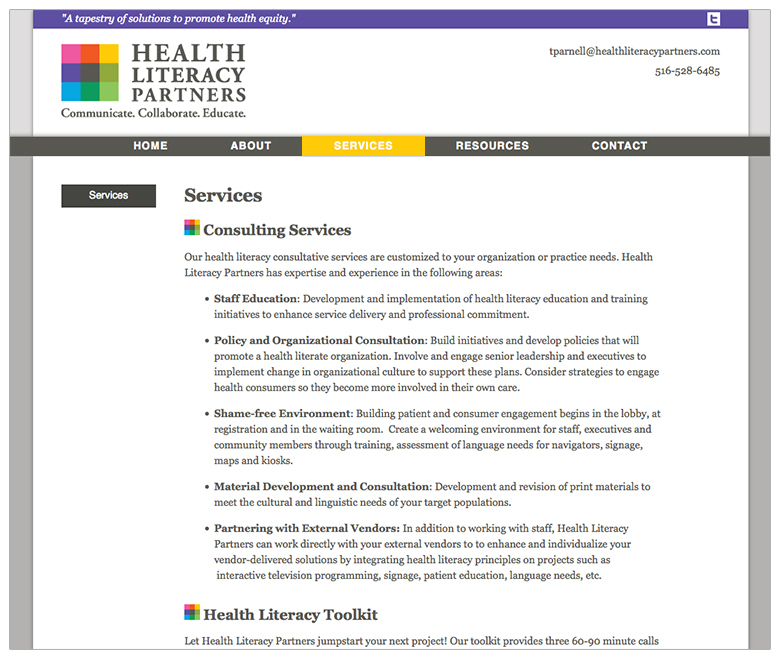 With our customized user guide and training, the client is able to make updates easily on her own. 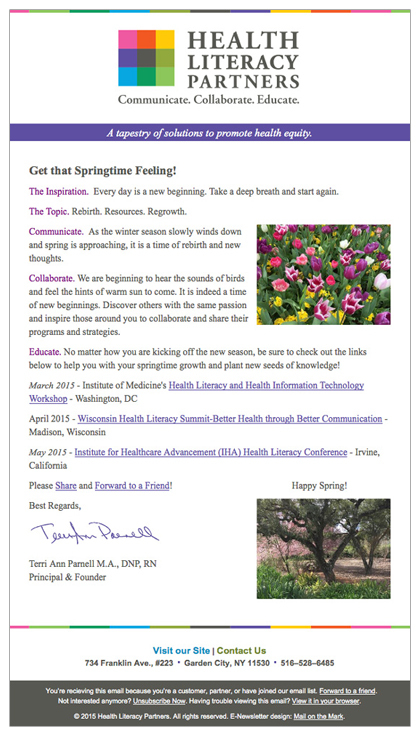 An e-newsletter template was created using Mail on the Mark and the site builds the e-newsletter list through an opt-in lead generator.